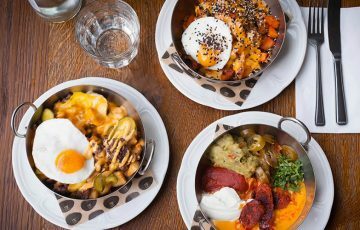 Leave the trick or treating to the kids and celebrate Halloween in spooktacular style at one of London’s top restaurants. 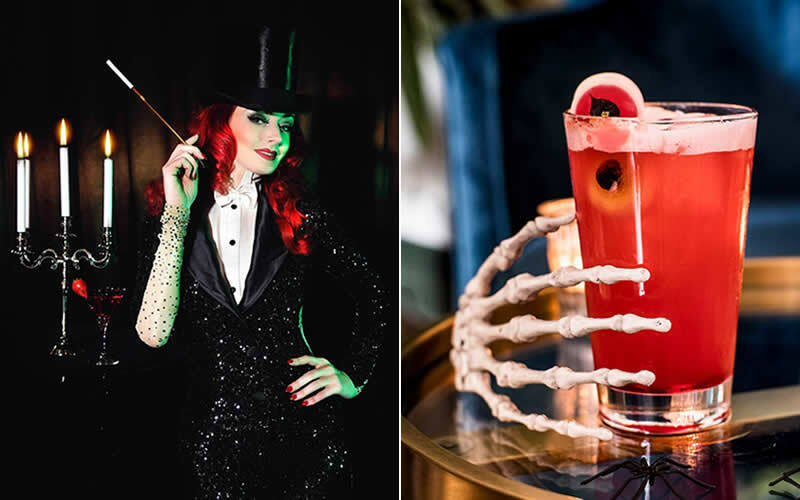 From 29th October to 4th November, Balthazar will celebrate the spookiest night of the year with the return of its all-American Halloween celebration, ‘Balthoween’. The boulangerie entrance will be transformed with a Halloween-themed installation so that guests can snap a spooky selfie beneath an arch of skulls and pumpkins. 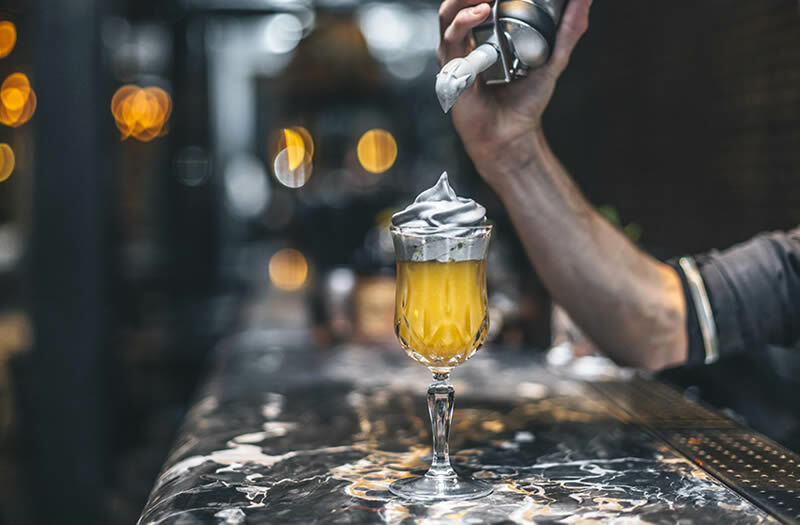 The bar team will be shaking up Maker’s Mark whiskey cocktails, while pastry chef Regis Beauregard has created a sinful ‘Balthobombe’ dessert. 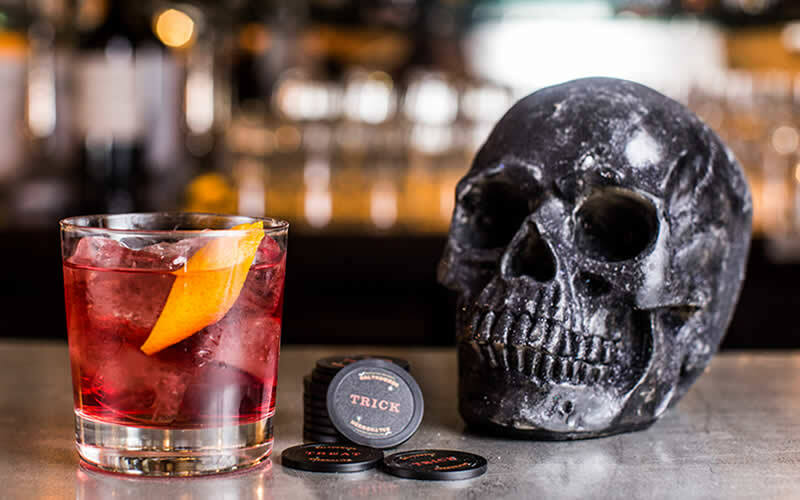 Guests dining on the 31st can tempt fate by flipping ‘Trick or Treat’ coins – if it lands on treat, your first Balthoween cocktail is on the house. Spooky season is upon us and we’re ready to raise some hell! 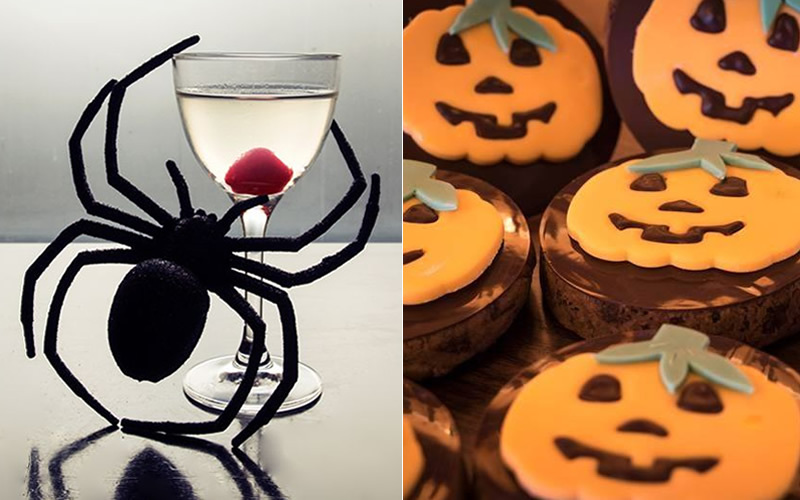 Leave the trick or treating to the kids and get into the spirit with these haunting Halloween cocktails. From 22nd-31st October, Old Bengal Bar is serving three spellbinding cocktails for just £7 during Horror Hour (4-6pm, £9 after). Slip out of work early and take your Last Breath – a blend of Jack Daniel’s Honey, pumpkin puree, and Lapsang tea syrup, topped with black foam. 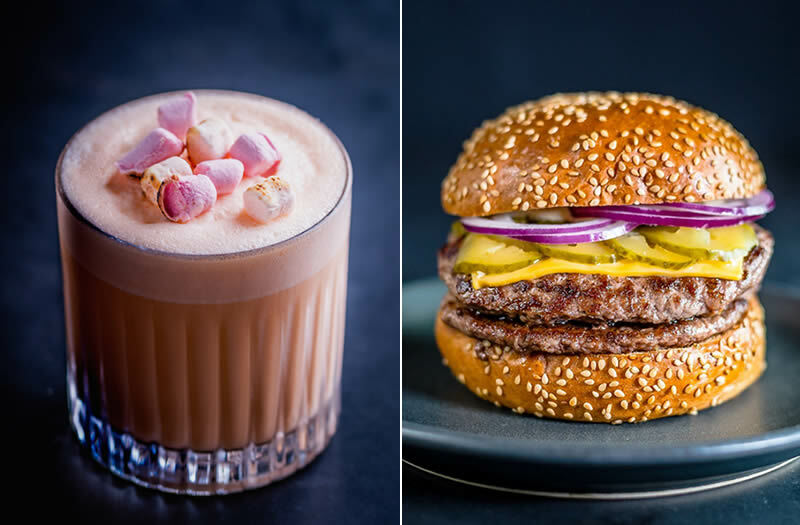 With Halloween just a few days away, we’ve rounded up some of London’s spookiest dishes and drinks. 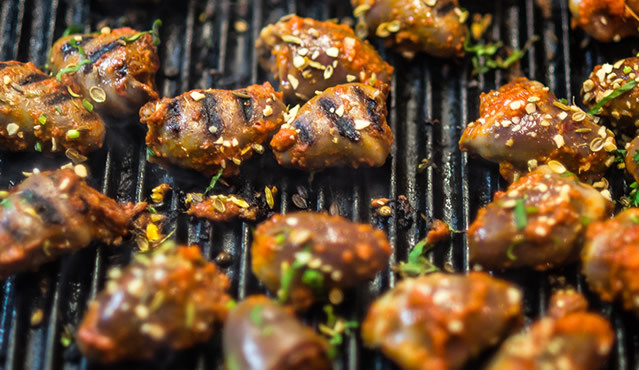 From hot wing roulette to flaming pumpkin cocktails, there are plenty of tricks and treats to try this weekend. 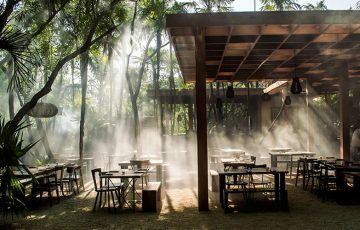 Are you brave enough to order the spooky special at The Table Café? 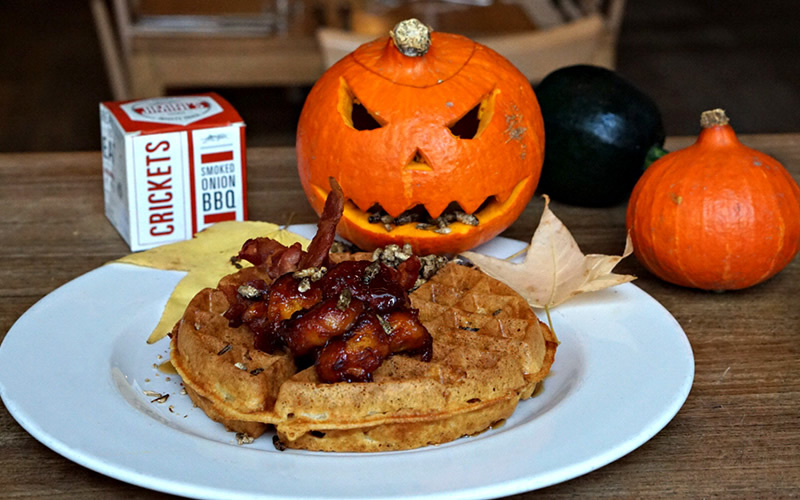 Until October 31st, you’ll receive a treat if you order the trick – a pancake or waffle topped with crispy bacon, caramelised banana and maple syrup, plus a sinister sprinkling of JIMINI’s smoked onion BBQ crickets. (The treat is a free cup of their excellent Allpress coffee every day until October 31st). If you’re too old for trick or treating but still want to raise a little hell this weekend, here are five Halloween specials to add to your To Do list. No creepy costumes required! 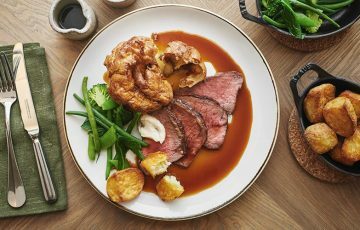 Head south of the river and celebrate Halloween in style at Gordon Ramsay’s London House. 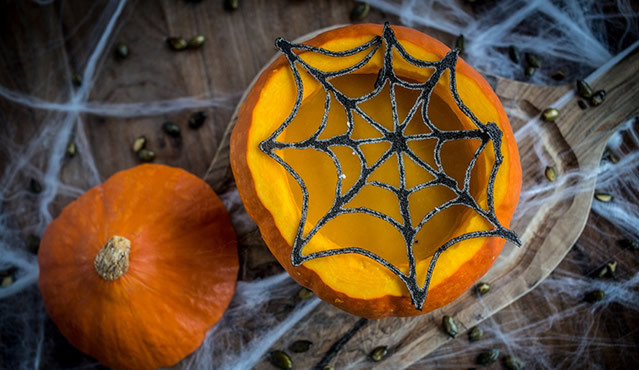 There will be activities for kids all weekend while grown-ups can enjoy pumpkin and ginger soup served in a pumpkin or pork belly with mini candied apples. Save room for dessert – a creepy crème brûlée with a blood apple filling, served with finger biscuits.